If you have a restaurant, this is one data point you can’t afford to ignore. Since 2014, food app usage among foodies has increased by around 70 percent. A 70 percent positive increase on any other segment of your restaurant business would be cause or excitement. And its no less the case with the unprecedented leap in the popularity of food apps. GlobalWebIndex has been conducting a survey with a base of 355,621 foodies between the ages of 16-64 from 2014 to 2017. As defined by the company in its survey, a foodie is someone that is strongly interested in food, restaurants or cooking. 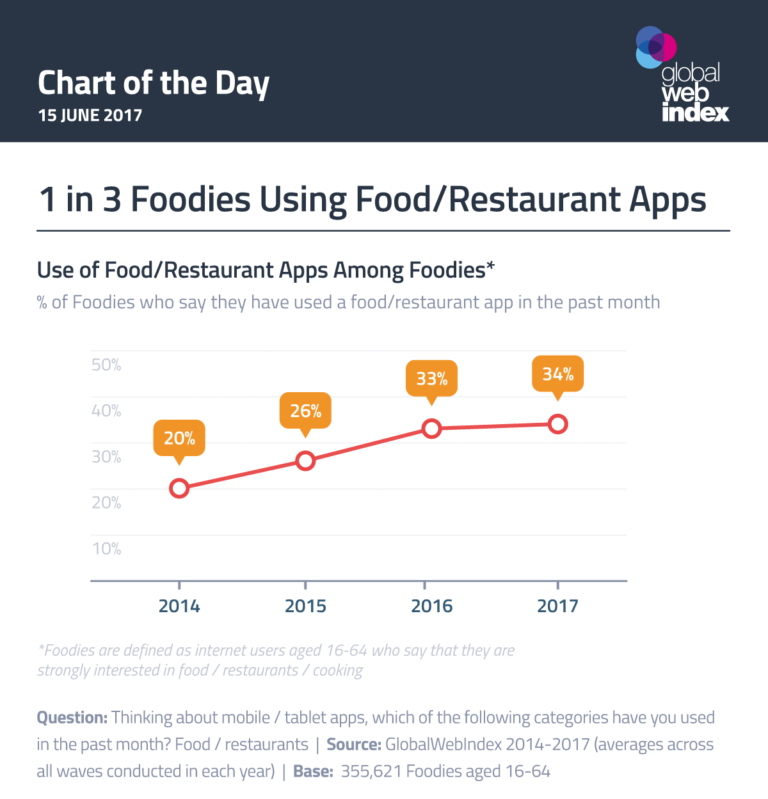 Since the survey started, the percentage of total foodies using apps has increased from 20 to 34 percent, and it is growing. This group is also more likely — by 25 percent — to seek out reviews when doing their research. The first obvious answer is having a mobile app will increase the visibility of your restaurant. A well designed mobile app should be available on iOS, Android, and even Windows platforms so users can invite their friends. Other must-have features include a menu with high-quality images and click to call for ordering and making reservations. Contact info with hours of operation and a map app to guide customers to your eatery are also essential. 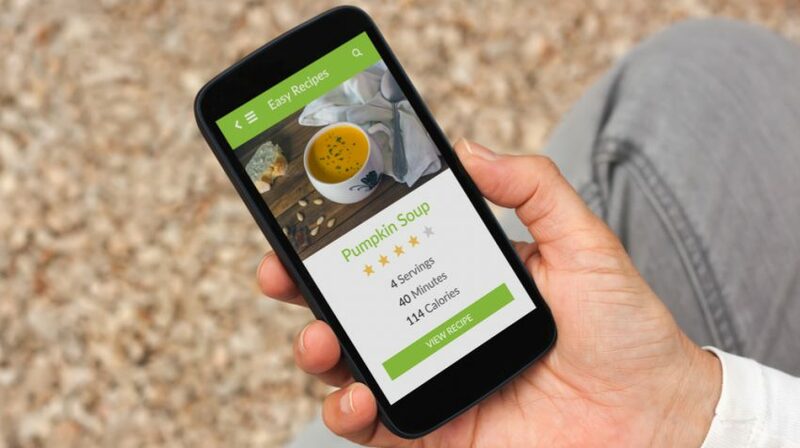 If you happen to have a mobile app and it is not performing well, you can introduce loyalty and referral programs, coupons, social sharing, use push notification for offers and to ask for reviews, and more. This, of course, is only a starting point, so feel free to add more features. 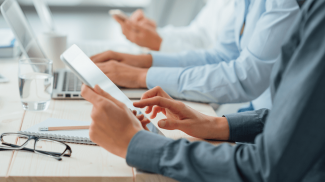 Most small business owners still don’t appreciate the value of mobile apps, but their importance can’t be overstated. Once you get your restaurant up and running, it will pay maximum dividends with minimal maintenance. While “foodies” might have above average desire to seek new food experiences, average restaurant customers are always looking for something new too. And one way to make your restaurant and the food you serve easier to discover by everyone is to create a mobile app.